New guy here from N.E. IL. 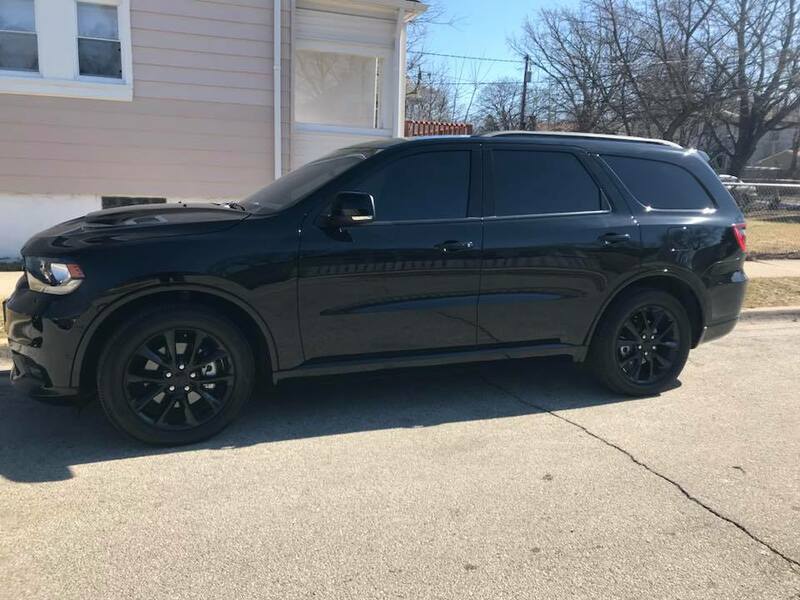 Got a 2018 R/T, Blacktop/Tech Package/Trailer Tow IV/ Cargo Plus/Second Row CPT/Sunroof/Hand Wrapped Dashboard/ B.T. Catch Can. Window tint fronts 20% Panaflex Ceramic/ Rest done with 35%. I am enjoying this forum and seeing what others are doing with their DD's. Welcome Dbkupr777#! I'm trying to figure out what color your Durango is. Since you go by "D.B. Cooper," is it DB Black? However, to me, it looks more like Granite Grey or Bruiser Grey. Dr. Jim, mine is DB Black Crystal Clear Coat. It really sparkles in the sun.